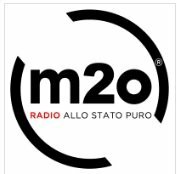 Music TV Channel / m2o is the main Italian electronic/dance/house music radio station, owned by the Gruppo Editoriale L'Espresso. It was founded in 2002. The station is broadcast free to air on Hot Bird, on SKY Italia channel 700, on Alice Home TV channel 776. and on Digital Television channel 44 or 34.